Ys Net has released a new trailer for Shenmue 3 at Gamescom 2018. The trailer showcases a prophecy from Shenhua and teases a showdown between Ryo Hazuki and Lan Di. It also revealed the release date for the game. 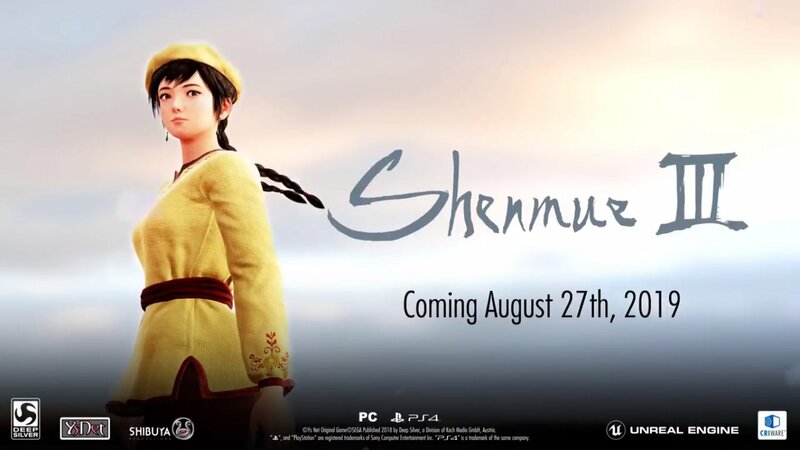 Shenmue 3 is set to release on August 27, 2019 for PlayStation 4 and PC. It is developed by Ys Net and published by Deep Silver. Yu Suzuki returns to direct the game.